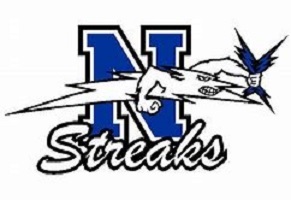 The Neodesha Bluestreaks find themselves featured on our High School Football Game of The Week once again as they host the Caney Valley Bullpups tonight simulcasted on 690 AM and 104.1 FM KGGF. We sat down with Neodesha head coach John Black as he spoke upon the difficulties of having a short week as the Bluestreaks fell short in there make up game on Monday against Erie High School. Only having 4 days to turn around and prepare your guys is always difficult, but then having to do it with the injuries that the Blue Streaks were struck with Monday night makes it even harder. John Black says their SR. Quarterback Blaze Grimes will still be out for the game of the week as the team will kind of take it easy and just focus on not making mistakes and getting to next week as they have a very tough test with Caney Valley . The Bullpups come into the game with 2 big wins under their belt and have been a force defensively and coach Black would rather not create further injuries against a very tough team in Caney Valley. Catch Neodesha and Caney Valley tonight on both 104.1 FM KGGF as well as the Mighty 690 AM 690 KGGF.